Tiffin is a very special type of food preparation in Indian cuisine. It is a heavier version of snack. Mostly served sometime half way between lunch and dinner. Its an after school snack that is kind of filling. I used to look forward to this after school and would come home with great expectations and excitement. 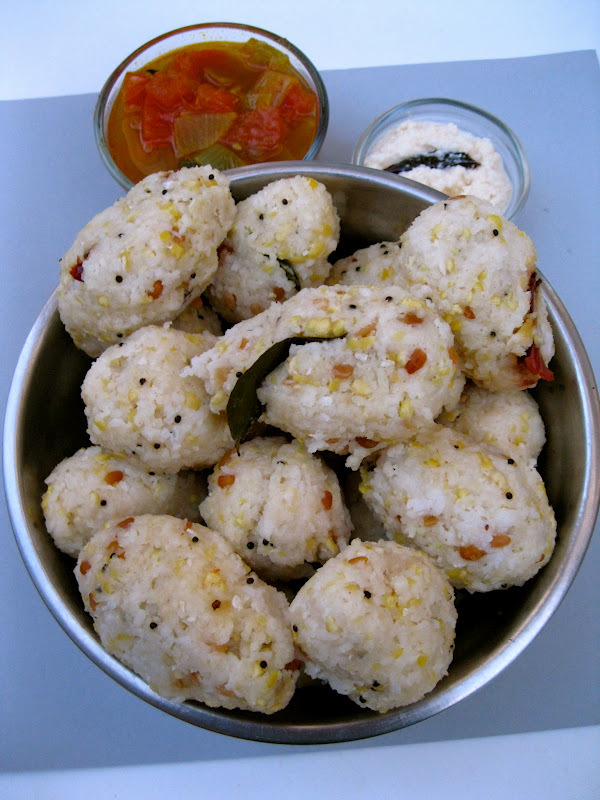 Sometimes upma kozhakattai was served for tiffin. I always liked it because it came in egg like shape that fit my palm and tasted great with gothsu. Here is the version I made for dinner today that was greatly enjoyed. 1. Measure rice and thoor dhal and add to the blender. Blend into a coarse powder that resembles rava or cream of wheat. 2. Heat a heavy bottom wok with some oil. Add asafetida, mustard seeds allow it to pop before adding red dry chillies, channa and udad dal curry leaves. 3. Add 3 cups of water and coconut to the seasoning and allow it get to a rolling boil. 4. Add the broken rice and thoor dhal mix little at a time while constantly stiring to avoid lumps forming. 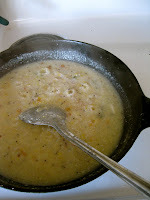 It will start to thicken and bubbles will form lower the heat to low and cover the wok with a lid and allow it to cook. cooked, thicken and come together. 6. Allow it to cool and then make egg shaped. 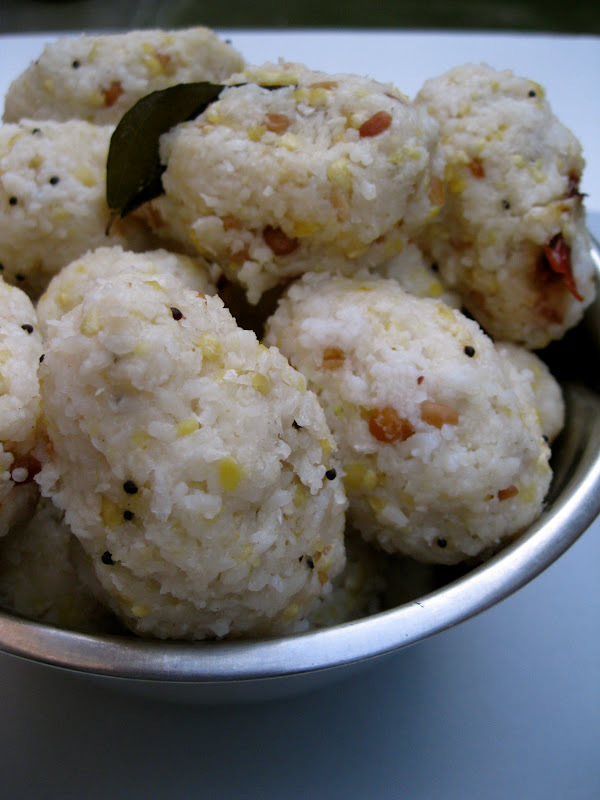 Place them on the idli plates and steam them for 5-8 minutes. 7. When the kozhakattai's are done serve them hot with some chutney and gothsu. They look so tempting dear, yummy snack and awesome clicks..
adding dhal to the rice whilke grinding is new to me.Makes it more nutircious, I generally make it only with rice rawa.Will try this way next time.Good one. Absolutely love this. We make uppudu Pindi like this with the exception of the last step of steaming them, great pics.